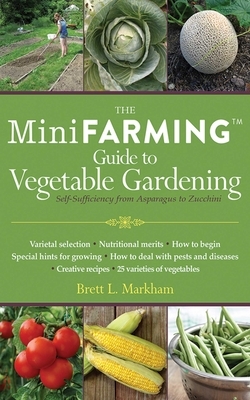 Make the most of your vegetable garden with Brett Markham, author Mini Farming: Self-Sufficiency on ¼ Acre. This comprehensive new handbook covers everything you need to know about maximizing and harvesting the best vegetables you can possibly produce. With each chapter addressing a different vegetable, you’ll learn tips and tricks about varietal selection, nutritional merits, how to begin, special hints for growing, and how to deal with particular pests and diseases, plus one or two creative recipes to get you started. With over 150 of Markham’s own photographs guiding you every step of the way, you’ll find this an honest, straightforward guide and a must-have for any vegetable mini-farmer.